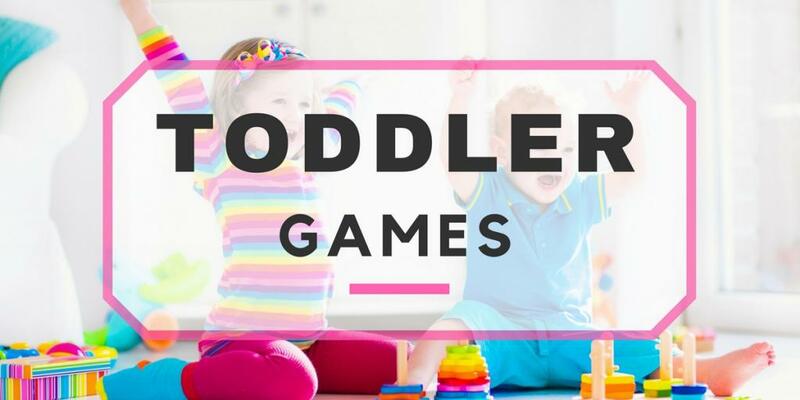 Thinking up games that will entertain everyone in your family may not be the easiest task you’ll undertake, so here’s a super big list of game ideas for you to consider! 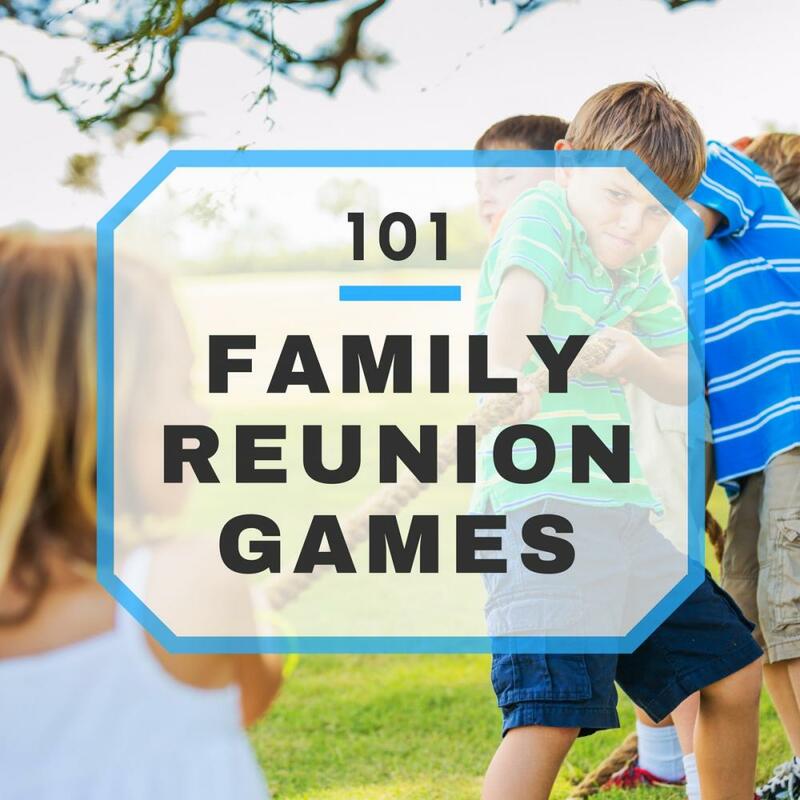 For even more game ideas for your reunion, consider picking up the Family Reunion Games Guide, with 150+ game ideas, along with tons of prize ideas for winners! 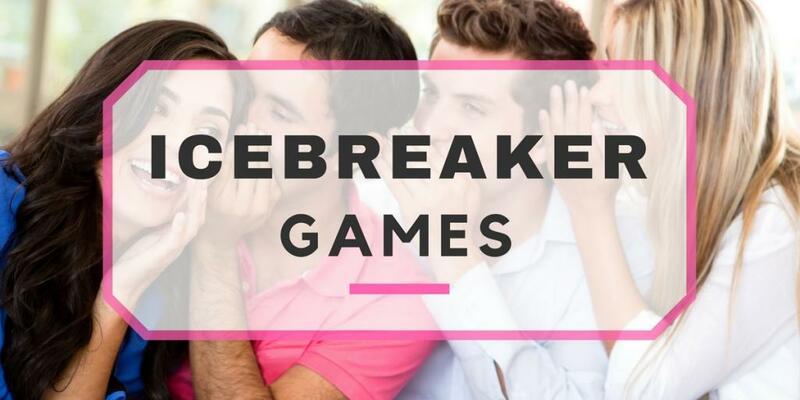 Icebreaker games are meant to get the family to let loose and open up to one another, rather than everyone associating in cliques of people that they know most! What You’ll Need: Nothing required. How to Play: Depending on the size of your group, have people divide up into smaller groups 4-8. Have everyone stand or sit in a line. The first person whispers a fact about themselves to the person next to them, who then whispers it to the next person and so on. This is the fun part! As the message moves along the line, it’s easy for someone to get it mixed up! For instance, “My favorite food is pancakes” might be misheard as “My favorite food is pound cakes”. The last person says the messages out-loud. Did everyone pass along the right message? Continue the fun by letting the last person move to the front and start a new round until everyone has shared a fact about themselves! You get to learn about everyone and have a good laugh! Everybody wins! What You’ll Need: Enough space for everyone to stand in a circle. How to Play: It’s simple: Everyone stands in a large circle, starting with one person going clockwise, the group chants “Jump in! [clap] Jump out! [clap] Introduce Yourself! [clap]” (Repeat) [First person moves to middle] “My name is ____, and I’m a (career/hobby), and I like (interest)!” “wooo!” [Next person moves to middle while other person returns to circle]. What You’ll Need: 10 candies per person. How to Play: Everyone starts with 10 candies and one person starts by saying “Never have I ever…” Anyone who has done that thing puts a candy in the middle and the cycle continues. The first player out wins all the candy! What You’ll Need: A blindfold and a trustworthy family. How to Play: Each person stands up on a chair or table, gets blindfolded, then falls backwards into the group. Move to the next person until everyone’s gone. What You’ll Need: Several stacks of newspapers, 1 roll of duct tape per 2 people. 1 heavy book. How to Play: Separate the group into teams of 2. Each team is given a stack of newspaper and a roll of duct tape. Teams are given 15 minutes to construct a table that’s at least 1 foot high, that’s strong enough to hold up the book. The team with the strongest table wins! What You’ll Need: Paper and pens, enough for everyone. How to Play: Each person will write two truths and one lie about themselves. One by one, each person reads off their two truths and a lie in random order, and everyone must try to guess which one is the lie! What You’ll Need: Whistle, but nothing else, not even your dignity. How to Play: Separate the group into two even teams, each forming a single file line. The first person begins in a crouching position, on hands and knees. When the whistle blows, the second person in line ‘leaps’ over the first and assume the same crouching position. One at a time, each person ‘leaps’ to the front of the time until the first person is now last in line. It is now their turn to leap over everyone. First line to make it back to starting positions wins! What You’ll Need: Blank Bingo cards, pens or pencils. How to Play: Everyone gets a few minutes to fill out their own Bingo card with things in the boxes such as “dislikes tuna,” “plays video games,” “saw Star Wars VII”, etc. Then they’ll race to find people who fit the descriptions until they get five in a row and call BINGO! How to Play: Select 1 person to be the “Caller”, then separate everyone else into teams of 5 to 6 people. The Caller will then command the teams to line up. Teams race to work out their lines and shout when done. What You’ll Need: Potato burlap sacks or pillowcases, pick your poison! How to Play: Everyone must hop their way to the finish while in a potato sack or pillowcase, being careful not to eat some Earth! First one to cross the finish line wins, last one to cross the finish line has to peel the potatoes! Just kidding! What You’ll Need: Eggs, plan at least 1 per person, plastic spoons. How to Play: Teams of 2 race from point A to point B, while keeping their egg on their spoon! A dropped egg can mean you’re out or must start over. What You’ll Need: Heavy duty rope, whistle, red flag to designate the middle, and the strongest family members on your side! How to Play: Divide the group into 2 teams and have them line up on their side of the rope. When the whistle blows, the teams will battle it out to see who’s side is the strongest. Select a referee who will watch the marker and call out the winning team. What You’ll Need: 3 baseball bats and your video camera, you’re not going to want to forget this one! What You’ll Need: A reliable partner. How to Play: In this game, you are the wheelbarrow! Have a partner grab your feet, while you use your arms to scurry to the finish! First team across the finish line wins! How to Play: Players attempt to toss their bean bags into the hole on the board. Getting the bean bag into hole earns 3 points, while landing it on the board but not in the hole earns 1 point. First player/team to 21 points wins. How to Play: Everyone gets a hula hoop. 1st round is 10 seconds. Whoever doesn’t drop their hoop moves onto the next round. Round 2 is 20 seconds, Round 3 is 30 seconds. Anyone who makes it through Round 3 will battle it out to the death, or until someone drops their hula hoop. What You’ll Need: Lots of jump ropes. How to Play: A contest of fitness. Who can jump rope the longest? 3 Rounds just like the Hula Hoop Contest, with a final bonus round for those overachievers. Toss in some double dutch or some sweet tricks! What You’ll Need: Frisbees, obviously. How to Play: Pair up and toss a Frisbee back and forth at incremental distances. Groups that miss or drop the frisbee are out. See who can throw the farthest! How to Play: Everyone will waddle to the finish line, holding an inflated balloon between their knees! If you drop or pop, you’re out! What You’ll Need: Strips of fabric, 1 per team. How to Play: Pair up with someone, preferably of even height. Tie your inner legs together to make a single leg and race the other hobbling pairs to the finish line! What You’ll Need: A good pair of Nikes. How to Play: Set the finish line and ready, set, GO! Whoever makes it there first is the winner, obviously. Make it fun by running a strip of streamers across the finish to break through. What You’ll Need: Playground ball, bases or something to designate as a base. How to Play: Similar to baseball rules. Divide the group into two teams, each taking turns kicking and running bases, while the other team try to get them ‘out’. Play to a set score or use ‘innings’ to track the game, either way your family will enjoy this playground classic! What You’ll Need: This handy dandy flag football set! Or some plain ‘ol strips of red fabric. How to Play: Same rules as football, but without tackling. Divide the group into 2 teams and give everyone on the team a colored flag to wear at their waist. The object of the game is to work together as a team to score touchdowns. Players do this by moving the ball up the field by running or throwing the it to team members, and crossing the end zone line. Instead of the defense tackling, they must grab the player’s flag from around their belt. This way, anyone can participate without the fear of getting hurt. What You’ll Need: A volleyball net, a volleyball or beach ball. How to Play: Perfect for a family reunion at the beach. Set up your volleyball net, or go someplace that already has one set up. Divide the group into 2 teams, preferably 6 people each, making sure the best players are on your team. Then enjoy either a casual volley or an intense match to 25 points! What You’ll Need: A net, rackets, and birdies. How to Play: If you have the net to play volleyball, than you have the net to play badminton. Teams of 2 go head to head, batting the birdie back and forth, attempting to get one to land on the other’s side. But be careful, hitting it out will give the advantage to the other team! First team to 21 wins! What You’ll Need: A ping pong table, paddles, and balls. How to Play: Ping Pong, also called table tennis by stuffy people, is a great game to set up for casual gameplay while family is just hanging out. Teams of two can enjoy simple back and forth play, or have a paddle battle, first to 11 points wins! What You’ll Need: Bats, wiffle ball, spray paint or markers to designate field boundaries. How to Play: Sometimes space constraints mean you can’t play a game of baseball, but there might just be room for wiffle ball! Same rules apply, except you don’t run bases, rather they are tallied by how far each batter hits the ball, into the single area, double, triple, and homerun, the farthest area in the field. What You’ll Need: 5-10 playground balls, more is best for larger games. How to Play: Divide into 2 teams and try to knock the other one out by hitting them with a ball or catching one of their throws. Remember, if they catch your ball, you’re out instead! Last person standing wins for their team! What You’ll Need: 5-10 playground balls. How to Play: Same basic rules of dodgeball, but instead of getting “out”, players who are hit or have their balls caught go to “prison” behind the opposing team. Prisoners can get out of prison by retrieving a ball passed by a team member, but they must stay within the prison at all times. If they can successfully hit an opponent with the ball, they get to rejoin their team while the opponent must now go to the other team’s prison. The game is over when an entire team is imprisoned. What You’ll Need: Soccer goals, field hockey balls, a hockey stick per player, safety gear if desired. How to Play: Basic gameplay as hockey. Use the hockey sticks to hit the ball towards the goal, but be careful, the other team will be trying to steal the ball and get it into theirs too. You can either choose to play timed periods with breaks inbetween or first team to a certain number of points wins. What You’ll Need: Lacrosse sticks, balls, safety gear if desired. How to Play: This is the perfect game to play if you have a large indoor or outdoor playing area, and a bunch of tough guys in your family! Divide the group into 2 teams of 10 each. Use your stick to catch, cradle, and toss the ball into the goal, all while keeping it away from the other team! Teams have 4 quarters to earn the most points! But remember, don’t touch the ball with your hands! If you’re having your reunion during the hot summer months, then everyone will appreciate a way to cool down! These are great for kids, but don’t let them have all the fun! What You’ll Need: Slip ‘n slides or make your own with a tarp, bubble bath or dish soap, camera. How to Play: Get out your swimsuit and the slip ‘n slides for a fun and refreshing summer family reunion game! Everyone gets a turn at sliding! But there’s a twist: A cameraman will be snapping funny pictures to show in a slideshow later on during the reunion. Funniest slip ‘n slider wins a prize! What You’ll Need: Twister game board, bubble bath. How to Play: Why not, you’ve already got the bubble bath! Set up a Twister board and wet it with water and bubble bath. Normal Twister game rules apply, but this won’t be any ordinary game of Twister! See who’s the last man, or woman, standing! What You’ll Need: Squirt guns, Super Soakers if you’re serious! How to Play: Have a blast (quite literally) with a family squirt gun battle! On a hot day, anyone who’s wet is a winner! What You’ll Need: Water balloons, I highly suggest saving your time and fingers with magic water balloon makers! How to Play: Water grenades, water balloons, whatever you want to call them. Prepare for an ultimate battle of water balloon carnage! To make it even more fun, divide up into teams, giving each team a different team color with matching balloons and see who splashes who! If you plan on having hundreds of balloons, make sure you get volunteers to help clean up! What You’ll Need: More water balloons. How to Play: If you want to use less water balloons, play tag with water balloons instead! One person starts the game as ‘it’ and gets a water balloon. To tag someone else, you hit them with the water balloon and splash! They’re it! The new ‘it’ grabs a balloon and the game continues until all the balloons are gone! Just remember, if the balloon doesn’t pop, it doesn’t count! What You’ll Need: Even more water balloons! How to Play: Pair up and choose a balloon to toss. Each catch means you move back one step. Dropping or popping balloon means you’re out. Last pair standing wins! What You’ll Need: Clear plastic cups, cooler. How to Play: The game starts with each racer having a cup with holes poked in them. At the starting line is a cooler of water, and about 20 feet away, their targets, 1 cup per racer with a line drawn at the top. Each player must race back and forth to fill their target. First person to fill the target wins! A funny variation is to force everyone to carry their cups over their heads! What You’ll Need: Pool, or respectable body of water. No puddles! How to Play:If you will be having a reunion at a beach or hotel, then Marco-Polo is an easy classic to play! The group chooses the first Marco. They close their eyes, count to 10 underwater, pop back up call out “Marco”. Meanwhile, other players swim away, and once they hear “Marco”, they must reply “Polo”. Marco continues to call out “Marco”, while blindly swimming around trying to tag other players. What You’ll Need: Pool or respectable body of water. How to Play: Fun variation of Marco-Polo is “Fish Out of Water”. Same basic gameplay as Marco-Polo, but if Marco, thinks he hears someone outside of the water, he can yell “Fish Out of water” and open his eyes. If he’s right, that person because the new Marco, and if he’s wrong, it’s back under the water for 10 more seconds to count again. What You’ll Need: A water source, variety of garden and sprinklers for kids, hoses, slip ‘n slides, beach balls, pool noodles, inflatable tubes etc. How to Play: Hit up the local dollar store and stock up on fun pool toys. Then, set up an obstacle course for the kids to run through and around using them. Include obstacles like hopping over pool noodles, sliding down the slip ‘n slide, and jumping through the inflatable tubes. Time it and award a prize for the fastest time! Anyone who says you shouldn’t play with your food clearly has not been to an awesome family reunion. Don’t forget the bibs! What You’ll Need: One large watermelon (more if you’ve got a large group), sliced into wedges, sidewalk chalk, measuring tape. Accuracy variation: 3 hula hoops, rope. How to Play: If you want to get all technical about it… Draw chalk line starting line and easy to reference chalk lines at 5, 10, and 15 feet. Each spitter is given a watermelon wedge and 3 seeds to spit as far as they can. Farthest seed spitter wins. For even more spitting fun, try the accuracy variation. Hang 3 hula hoops from a branch of a tree. From 5 feet away, spitters have to get their seeds through all 3 hoops. Distance from the hoops increases until there is 1 winner. What You’ll Need: 1 pie per contestant. My suggestion, stick with store bought pies. No one wants to roll out that many pie crusts! How to Play: Pick your pies and see who can eat through it the fastest! No hands allowed! Keep costs cheaper by having a cost of entry. First one who cleans their pie plate wins a prize, one of Grandma’s homemade pies! What You’ll Need: Lots of paper plates, several cans of whipped cream. How to Play: Ready? Aim, FIRE! Pair up and sort out who gets to be on the receiving side of the cream pie. Standing a distance of 8-10 feet, each team must try to hit their teammate in the face! First team with a successful splat across the face wins! What You’ll Need: 3-5 hotdogs per person. How to Play: Obviously every person’s limit is different. I don’t know about you, but I max out at 2! Winners can be chosen 1 of 2 ways, the person who eats their set number of hotdogs the fastest, or the person who eats the most hotdogs, in which case you should probably have some backup hotdogs just in case your family comes hungry! What You’ll Need: A whole lot of ice cream, various sundae toppings. How to Play: Perfect for a hot, sunny day! Make huge ice cream sundaes and watch as everyone races the sun and each other to eat theirs first! First one done wins! What You’ll Need: 1 stick of butter per person, paper plates, plastic utensils, toothpicks, food-safe gloves. How to Play: Not the easiest thing to mold, but that’s what makes it so fun (and messy)! Everyone gets 1 cold stick of butter and 10 minutes to sculpt a farm animal. Best animal wins! And now that you’ve got a whole bunch of softened butter, why not make some delicious shortbread cookies! What You’ll Need: 1 pizza dough per person, pizza toppings. How to Play: Who thinks they can be a pizza dough whirling pro? Wash up and grab your pizza dough. Whoever can successfully fling it highest without ripping the dough wins! And now that you’ve got several perfectly stretched pizza doughs, top them with sauce, cheese, and your family’s favorite toppings for a pizza party! What You’ll Need: A large bowl of bite-size foods, such as grapes, mini marshmallows, gummy bears, you get the idea. How to Play: Keep count as they are stuffed in the mouths of the players! What You’ll Need: Ask family members to bring their version of a dish. Offer families traveling from out a kitchen to cook their dishes. How to Play: If you’ve ever been to a chili cook off, then you know how serious things can get! 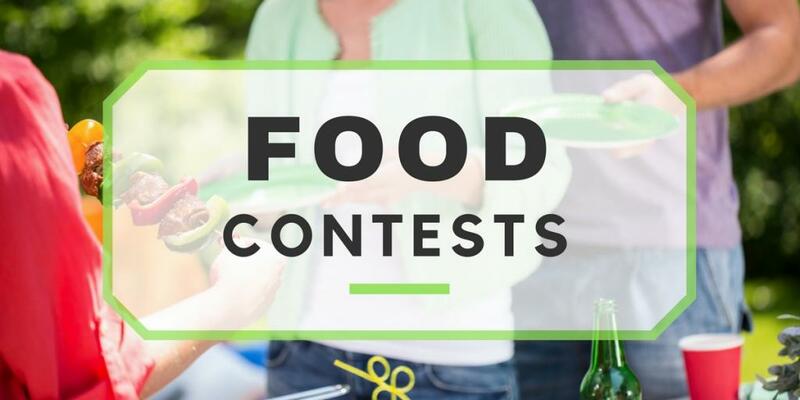 Pick the food and start a contest! Each family brings their own version of the dish, my choice is a good old fashioned BBQ smoke-off! No matter what your family decides to cook, everyone will have lots of delicious food to taste and judge! What You’ll Need: 5-10 various foods, such as strawberries, cheese cubes, pickles, chocolate covered raisins,etc., blindfolds. How to Play: Every family chooses a single participant who will be doing the tasting. Participants are kept in a separate room until it’s their turn. One by one, participants are blindfolded and brought to a table with each food item. They try each item and guess what it is. The person who guesses the most correctly wins. If there’s a tie, do a bonus round with 3 harder items to guess. What You’ll Need: A few dozen unfrosted cupcakes, lots of white frosting, food coloring, fun candies, sprinkles, plastic utensils. How to Play: Everyone receives an unfrosted cupcake and gets to decorate it with colored frosting and all the fun toppings they could ever want. Funnest cupcake wins, but honestly, everyone wins with this delicious game! 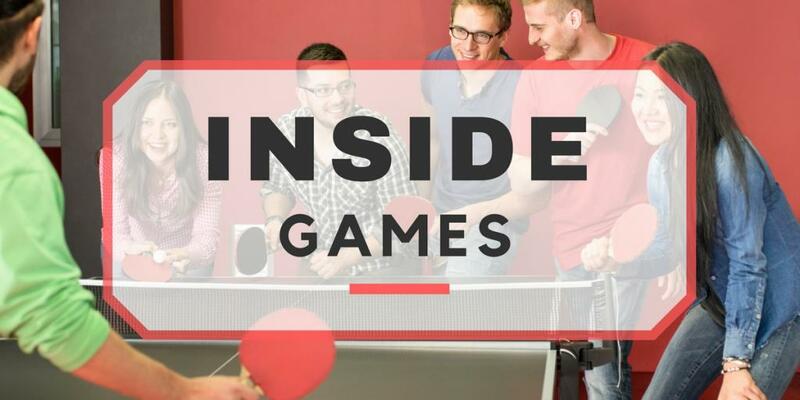 Inside games are typically good to play during mealtime or if someone just needs a break from the action! Make sure to plan at least a few of these for a just-in-case-it-rains scenario! What You’ll Need: 1 puzzle per team of 4. Make sure all the puzzles are equal difficulty, like the same brand and piece counts. How to Play: The group divides into teams of 4 and each pick a puzzle. Teams race to finish their puzzle before the other teams can finish theirs. First team done wins! What You’ll Need: A list of questions about your family. How to Play: How much does everyone know about the history of the family? Play as one large group or separate into teams. First team to raise a hand gets to answer the question. 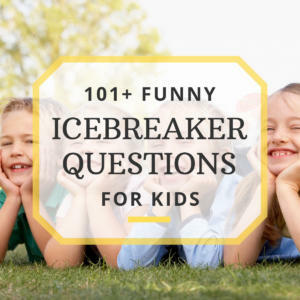 Be sure to include varying levels of questions so the youngest family members can participate! The person or team with the most correct answers wins! What You’ll Need: A list of interesting facts about your family. How to Play: Who can play The Star Wars Theme on the saxophone? Who has ridden the fastest roller coaster in the US? Create a list of interesting facts about your family, making sure not to mention any names. Play as one large group or separate into teams. The person or team with the most correct answers wins! What You’ll Need: Word searches, pens or pencils. How to Play: There are lots of websites that allow you to make your own word search. Use names of family members to create a fun, custom word search. First one to finish wins a prize! What You’ll Need: Word scrambles, pens or pencils. How to Play: Scramble up the names you used in the word search, or use words that pertain to your family. Be sure to circle a spot for a letter in each word that also goes with a mystery word at the bottom! First person to figure out the mystery word wins! What You’ll Need: Mad Libs, pens or pencils. How to Play:Who doesn’t love a good game of Mad Libs? Write up a story, leaving out words with blanks that specify the type of word (verb, noun, adjective, etc). Everyone will go down a list only writing the kind of words needed, then read the story aloud filling their chosen words in! What You’ll Need: Paper plates, crayons. How to Play: In this game, everyone will place a paper plate on their head and attempt to blindly draw either themselves, or pair people together and ask them to draw each other! Best sketch wins! What You’ll Need: A small sheet of stickers per person. How to Play: Each person is given a small sheet of stickers, with an equal number of stickers on it, anywhere from 5-20. The goal of the game is to discreetly stick your stickers onto other people. If they catch you, they get to put one of their stickers on you. The first person who runs out of stickers on their sheet wins! If there is a tie, the winner is whoever has less stickers on them. How to Play: A fun game for all ages! Artists race to draw pictures to get their team member(s) to guess the secret word! First team to guess the word gets a point! Then swap artists and do it again! What You’ll Need: Guesstures game. How to Play: This is a super fun, super fast game of charades, except the difference is each player must act out 4 different words, points are awarded based on their difficulty, to their team member(s), but as fast as possible! Make sure to grab the card before it falls! Points are only awarded if you were able to retrieve the card in time! What You’ll Need: Apples to Apples card game. How to Play: A great card game for 4 to as many as 10 people, and more if you consider pairing up into teams or including an additional game. Players are dealt 7 red cards each, each having a random noun on them, such as “High School Reunion”, “Dandruff”, or “Chimpanzees”. Each round, one player is the Judge. The Judge reveals a green card, having a random adjective, such as “Delicious,” “Scary”, or “Magical”. The other players choose one of their red cards that best first with the green card, or at least is the funniest pairing. The cards are shuffled and handed to the Judge, who chooses his or her favorite. That owner of the card gets the green card. First player with 3 green cards wins! What You’ll Need: Trivial Pursuit game. There are lots of different versions, so pick one your family will love or even one to match your family reunion theme! Trivia Pursuit: Lord of the Rings? Okay Amazon, I’ll buy it! How to Play: Test everyone’s general knowledge, or test them on their favorite movie! Either way, this game will be fun for the whole family! Play as individuals or as a team. Players, or teams answer questions in order to move around the board. The first to complete each of the six categories wins the game! What You’ll Need: Monopoly game. How to Play: This game is known to burn many hours at a time, and if a perfect one for some of the less active family members. Beware though, Monopoly is also known to bring out the competitive side in anyone! Players take turns traveling around the board, buying, renting, and selling property in an attempt to become the wealthiest player. The game is over when everyone else has gone bankrupt. What You’ll Need: Ticket to Ride game, along with any desired expansions. How to Play: A fun strategy board game your family will want to play over and over! The board is a map, in the original game it’s of the United States. Across the states are train routes connecting certains across the country. Players attempt to claim train routes to earn points. At the end of the game, the player with the most points for his or her routes wins! What You’ll Need: Scrabble game, dictionary. How to Play: A game of words. Players place tiles with letters on the scrabble board to form words and earn points. When the tiles are gone, the game is over and the person with the most points wins. Don’t forget to have a dictionary on hand to challenge those words that almost always come up. What You’ll Need: Sequence game. How to Play: Sequence is both a board and card game, and once you learn how to play it, you’ll play over and over again! Your goal is to make rows of five on the board by placing playing chips on the board spaces corresponding to cards played from your hand. First person to complete their row(s) wins. Great for one on one matches all the way up three 4-player team games! What You’ll Need: Uno card game. What You’ll Need: Phase-10 card game. How to Play: The second most popular card game behind only Uno. Players play through 10 phases, each phase requires a different set or sequence you have to make before moving on to the next phase, like two sets of 3 or a run of 7. You can only complete 1 phase per hand. The player who finishes their phase first and gets rid of all their cards wins the hand, earning 0 penalty points, while everyone else earns penalty points for cards left in their hand. Your goal is to get through all 10 phases first and have the least number of points at the end of the game. What You’ll Need: Skip Bo card game. How to Play: For 2-4 players if playing individually, or 6+ if you’re teaming up with a buddy. In this card game, players are dealt 5 cards in addition to a 30 card deck, with only the top card visible. Players use cards from their hand, deck, and discard piles to create shared piles starting with 1 and going to 12. A new pile must begin with a 1 or Skip-Bo (the ‘wild’ card), and piles that reach 12 are reshuffled into the common draw pile. First player to clear their deck wins! What You’ll Need: Kiddie pool filled with water, various objects, some that sink and some that float. How to Play: Got a little kiddie pool on hand? Then play a game called “Sink or Float” that will teach your youngsters the difference. Start by showing the kids an object and asking if they think it’ll sink or float. Then put it in to see! What You’ll Need: Kiddie pool filled with sand, 2 sets of these mini dinosaurs. How to Play: Sensory activities are important for young children, so one that’s this entertaining is a must! Fill a kiddie pool with sand, hiding dinosaurs in the sand as your go. Hide all the dinosaurs in the sand, whoever digs up the most dinos wins! How to Play: What kid doesn’t love this fun and easy game? Someone is selected as the first Simon. Simon gives players commands to follow, such as “Simon says to wave your left hand,” or Simon says to spin around in a circle.” If the command doesn’t start with the phrase, “Simon says,” players should not follow the command. Those who do are out of the game. Last player standing wins! What You’ll Need: Playdoh, at least 1 small ball per child. This set is perfect because it allows the kids choose their favorite colors and gives them something to play with after the game is over. How to Play: Great activity for kids to use their imaginations! Just like regular pictionary, kids pair up in teams of 2, but in this version, players sculpt their words with play-doh and try to get their teammate to guess the word. When planning this event, make sure words are age appropriate. We don’t want to a 4-year-old sculpting an “Orchestra”! How to Play: Set up a supervised game of hide and seek, making sure to set clear boundaries to stay in. The first seeker is chosen by a fun game, like who is the tallest, who has the most letters in their name, etc. The seeker closes his or her eyes and counts to 20 out loud (Longer count times are better for more players or larger play areas), meanwhile, everyone else finds a hiding place. Once someone is found, they begin searching the the rest of the players until everyone is found. The person who was found last won the game and the person who was found first now is the seeker! What You’ll Need: A bunch of silly kids! How to Play: This game is great for any number of kids, but it can be even funnier with a few parents in the mix! Players sit around a circle, the youngest starts. They get 1 minute each to make their funniest, silliest face, trying to make the other players laugh, getting a point for each one who does. After their minute is up, they pretend to wipe the smile off their face and place it on the next player in the circle. Once everyone’s gone, the person with the most points wins! What You’ll Need: Lots and lots of paper. How to Play: Kids can always find a way to have fun. Simply giving them a piece of paper enables them to design and build their own paper planes! When everyone’s plane is done, see whose can fly the furthest! What You’ll Need: The real Hokey Pokey song, or someone familiar with the song to lead. How to Play:There’s something about this song that captivates kids all over! Have all the kids stand in a circle, then start the music! Get the kids to follow the commands in the song and have a great time! To add even more fun to the Hokey Pokey, go around the circle and let each kid lead a round, making up their own move! How to Play: 1 person is ‘it’ and starts out doing a silly action. Everyone must copy whatever it is the Monkey is doing. The Monkey then picks another monkey to do a silly action that everyone must repeat, and so on! What You’ll Need: A deck of playing cards, these Mickey playing cards are particularly fun for kids. How to Play: Shuffle the cards thoroughly. Lay all the cards face-down on a flat surface in 7-8 rows. Then one by one, players take turns flipping only two cards in attempt to make a match. If they successfully match they remove those cards from the game and earn a point Their turn continues until they do not successfully make a match. The cards are flipped back down and then it is the next player’s turn. The player with the most matched pairs at the end of the game wins. How to Play: “I spy with my little eye, something orange…” You know this one! Someone starts the game by seeing something visibly in the area and saying “I spy with my little eye, something (color)”. Then players take turns trying to guess what it is. First person to guess correctly wins and become the new “I Spy-er”. 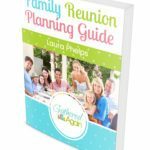 Adults need some adult time once in awhile, and a family reunion is the perfect chance to get that in! What You’ll Need: A set of 4 horseshoes, stake. How to Play: Easy to set up but tough to play! 2 players or teams go head to head in this classic outdoor game. Setup is as simple as placing a stake in the ground. Then each player/team gets 2 horseshoes and take turns tossing both of their horseshoes at the stake. 3 points are awarded for ringers (the horseshoe makes it around the stake), 2 points for leaners (the horseshoe is leaning against the stake), and if there are no ringers or leaners in a game, 1 point for the closest horseshoe. If both players land a ringer in a single round, they cancel out. Points are only awarded the the player who earned the most during that round. First player to 15 points wins! What You’ll Need: A deck of playing cards, a set of playing chips. How to Play: Put on your poker faces because you don’t want anyone to know you have the best (or worst) hand in the house! There are lots of types of poker, but in all versions, the goal is to create the best 5-card hand. The most commonly played style of Poker and my personal favorite is Texas Hold’em. Everyone is dealt 2 cards face-down, followed by a round of betting. The dealer deals 3 cards on the board, (the flop), followed by more betting. The dealer deals a 4th card (the turn), more betting, then finally a 5th card (the river) and the last round of betting. The player who can make the best 5-card hand between their 2 cards and the 5 on the table wins the hand and the pot! How to Play: Rent a karaoke machine and let everyone who wants to participate take spotlight for their 3 minutes of fame! After everyone has sung, have the audience vote for the favorites. The 2 singers with the most number of votes move onto the finale and perform an additional song. Votes are cast again and a winner is crowned! What You’ll Need: Kan-Jam game set (If you’re not concerned about official sizes, all you really need is a couple of frisbees and a trash can with a slot cut out of the front). How to Play: This is a frisbee game with a twist! You start on teams of 2, each person standing on one side of a field next to a target (your trash can). You and your partner take turns throwing the disc towards the opposite target, while partner tries to help you make it in with a swat of the hand. You score 1 point if your partner swats the disc and it hits the target, 2 points if you hit the target without assistance, and 3 points if your partner can jam it into the target! BUT! If you throw the disc into the slot, it’s an instant win! First team to get to 21 points wins! What You’ll Need: A pool table, billiard balls, pool cues. How to Play: If the venue has pool tables, then it’s game on! There are many different pool games, 8-ball being the most common, which can be played with 2 or 4 players. The game starts will a full rack of 15 balls, 7 solid, 7 striped, and 1 black 8-ball. Players alternate turns, trying to ‘pocket’ their suit in sequential order. First one to sink all 7 balls and the final 8-ball wins! What You’ll Need: Tiki Toss game (or a large metal ring, hook, eye hook and string to make your own). How to Play: Although this is fun for the whole family, it’s a perfect pastime for all the dads while they’re at the grill or enjoying a root beer. Set up is easy: screw a hook into a wall (about 4-5 feet high) and hang a string with a metal ring at the end (2 feet from the floor) from the ceiling about 6 feet away from the wall. Then players take turns trying to hook the ring onto the hook by swinging it from 10 feet away. What You’ll Need: A dart board, darts. How to Play:There’s lots of games to be played on a dartboard, are you up for the challenge? Gameplay and scoring can vary, but the main idea is the same. Players start with 501 points, and take turns throwing 3 darts at the dartboard in attempt to reduce their points to 0. Darts are scored based on where they land. After each round, their amount they scored is subtracted from their total points. First to 0 wins! What You’ll Need: Rental paintball gear and guns, paintball field. How to Play: While the little kids are busy playing with some of the parents back at your reunion location, take the rest of the ‘big kids’ to a local paintball field for an exciting paintball battle! Gameplay can vary based on player preferences, so talk with your group so find out what everyone wants to play, Elimination, Capture the Flag, etc. Once everyone knows the game and rules, hit the field, but remember, once you’re hit, you’re out, so watch out! Last, but definitely not least, here all the rest of the games for the family that we could think of! 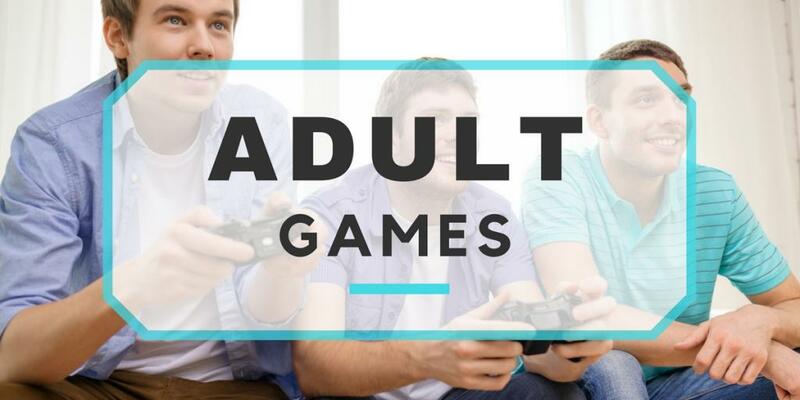 If your family is full of fun, goofy people, they’re bound to love these amusing group games! What You’ll Need: 2 hats or bags, 5 small strips of paper per person, pens or pencils. How to Play: This is a funny game for the whole family to play. Divide up into teams, each team gets a hat, a bunch of strips of paper, and a few pens or pencils. Teams then think of and write down words or phrases that the other team will have to act out and place them in their hat. Hats are swapped, then players take turns drawing from the hat and acting out the word to their team, trying to get them to guess it. Remember, actors aren’t allowed to talk or spell out the word! After an equal number of turns, the team with the most right guesses wins! 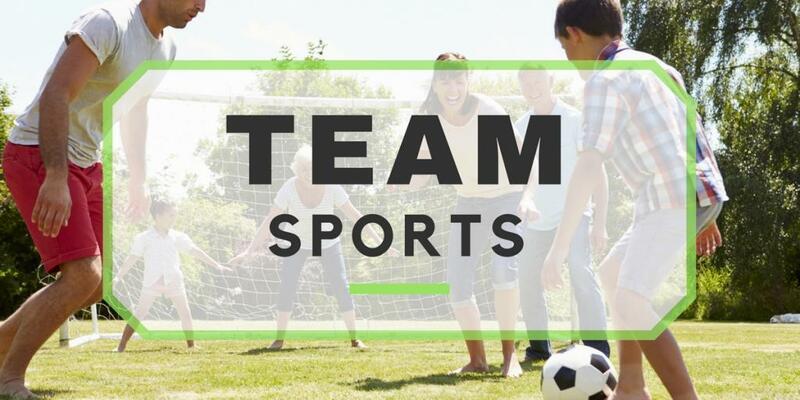 How to Play: Set up is the same as regular charades; divide into teams, put words for the other team into a hat, and teams take turns acting out those words. The difference? Instead of one player acting out a word to the rest of the team to guess, the rest of the team act out a word to a single player to guess. What You’ll Need: A room with 4 corners. How to Play: First things first, assign each corner of the room a number, 1-4. Make sure everyone knows which is which before the game starts. Then designate someone to start the game as “It”. He or she closes his eyes and slowly countdowns from 10-0, during which the rest of the players go and stand in a corner. They can run back and forth as much as they want, but must stay put once It finishes the countdown. Then while their eyes are still shut, It calls out a corner number, and can then open their eyes. Whoever is in that corner is now out. The game continues like this until there is 1 final player, and they become the new It! What You’ll Need: 2 whistles, 2 stopwatches 1 flashlight for every pair. How to Play: Get ready for a serious hide-and-seek game, one that can be played during the day or night! In Manhunt, the group divides into 2 even teams, a trustworthy captain is chosen for each team (they get the whistle and stopwatch), bases and boundaries are set. To start, one team sets their stopwatch to 5 minutes and waits to let the other team hide, preferably in pairs. Once the 5 minutes is over, the captain will blow the whistle and the hunt begins! The hiding team tries to get back to their team base without being caught/tagged by a hunter. If a hunter does catch a player, they become a hunter as well (Perfect if you want to theme it as Zombie Manhunt)! If the hunted teams captain can make it back to base along with the majority of the team, they win and blow their whistle, signalling the end of the game. What You’ll Need: 2 different colored flags. How to Play: Divide the group into 2 teams, each is given one of the flags. Flags are set up in an open location called base at either end of a large field. Each team attempts to grab the other team’s flag and return to their base without getting caught behind enemy lines (tagged and put in jail). Make sure that while you’re trying to grab their flag, you don’t forget to guard your own! First team to bring back the other team’s flag wins! What You’ll Need: Laser tag equipment. How to Play: Laser tag is a lot of fun with a bunch of people! For ease of setup, take your group to a local laser tag arena and rent equipment there. Then divide up the group into teams, discuss any special rules you want to implement in the game, and then head into the arena for this fun, fast-paced, strategic shooting game. What You’ll Need: A list of scavenger hunt items, 1 per person/team. 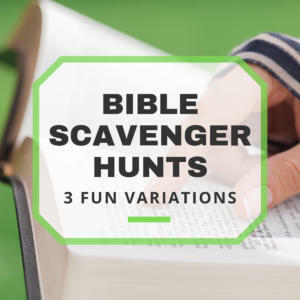 How to Play: Scavenger hunts are a fun and versatile game for groups of any size. If you have a smaller group, let everyone work individually, while larger groups can pair off or join teams. Give everyone a list of items and send them on their merry way to finding them. Who will complete their list first? First person/team done wins! What You’ll Need: Frisbees, softballs, measuring tape, flag markers, stop watches, etc. Also consider medals for the winners. 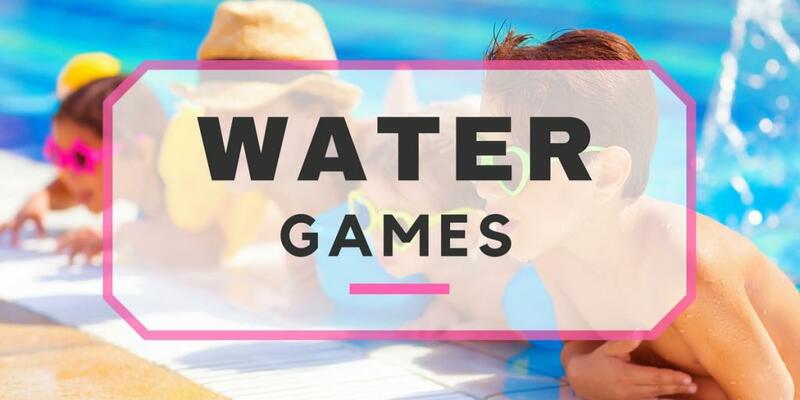 How to Play: Make an event out of your games by organizing a family Summer Olympics with separate events for the men, women, and kids, to keep things fair! Include games like the discus throw, shot put, long jump, and just for laughs, the men’s race walking. Yes, speedwalking is a real Olympic sport! You can even make up your own games to include! What You’ll Need: TBD, stopwatch or kitchen timer. How to Play: If you haven’t seen the show, look it up! Games are made out of common household items, and each player is given a minute to beat the game before moving to the next and harder level! Divide the group into 2 teams, teams send 1 player into each game. Whichever player wins the game scores a point for their team. Here are some Minute to Win it game ideas straight from the show itself! What You’ll Need: For DIY: 2 foam poster boards, 61+ post-it notes, I prefer using 6 different colors post-its to designate the categories, marker. For Digital: Create a jeopardy game online for free, but only use this method if you have access to a projection screen at your venue. How to Play: The only game where the questions are answers and the answers are questions! All normal Jeopardy rules apply. There are 3 rounds, Jeopardy, Double Jeopardy, where points are worth double, and Final Jeopardy, where you can wager points. Each of the first 2 rounds have 30 questions, including 1-2 Daily Doubles. Divide the group into teams, and designate 1-2 people to be the “Host” and “Scorekeeper/Judge”. Teams start by attempting ask questions to correctly match answers on the Jeopardy board. The team with the most points at the end wins! What You’ll Need: A long pole (a broom handle works fine), limbo music and leis for added fun. How to Play: How low can you go? 2 people are designated to hold each end of the stick. If you have any handymen in the family, you can also ask one to build an adjustable limbo stick holder. One at a time, players bend their torso backwards and limbo under the stick, making sure not to touch the stick. The family member who can limbo stick wins! Game Variety: You will want to have a good mix of active, solo, group, and laid back games. It will keep a nice flow to the reunion while ensuring everyone gets a break from some of the cardio activities that will be going on! Age Range: It’s likely you’ll have a sizable age range among your reunion guests. 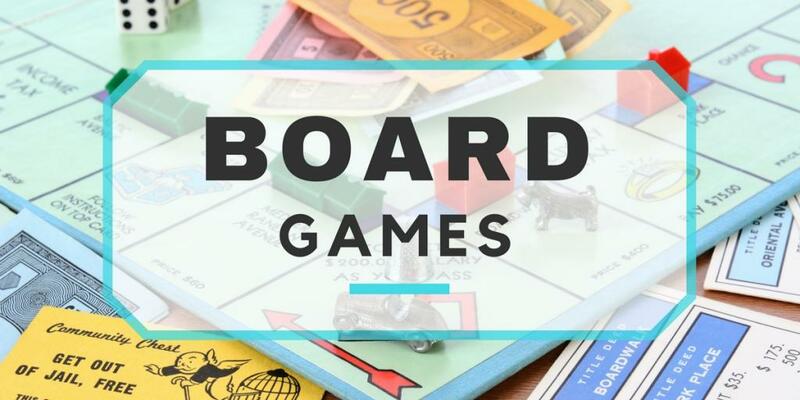 Be sure to have activities for each age group to participate in, from interesting games to engage the youngest family members, to indoor board games older family members can still enjoy. 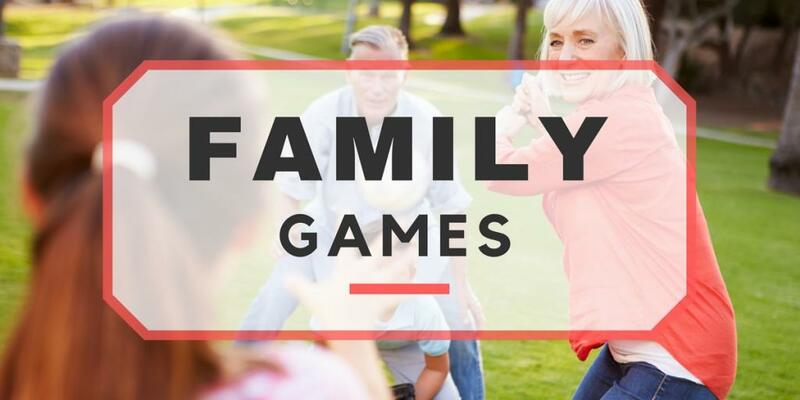 Group Games: Family reunions are about spending time with family, so the more family you can spend it with, the better. This means planning a few games that are good for everyone to play together, no matter the age! Venue Amenities: Utilize your venue to its fullest. Find out what amenities it offers or doesn’t offer so you know if there are any limitations as to what you can do, then plan accordingly! Be sure to be keeping indoor/outdoor in mind when thinking of games, and the space you will have to use. 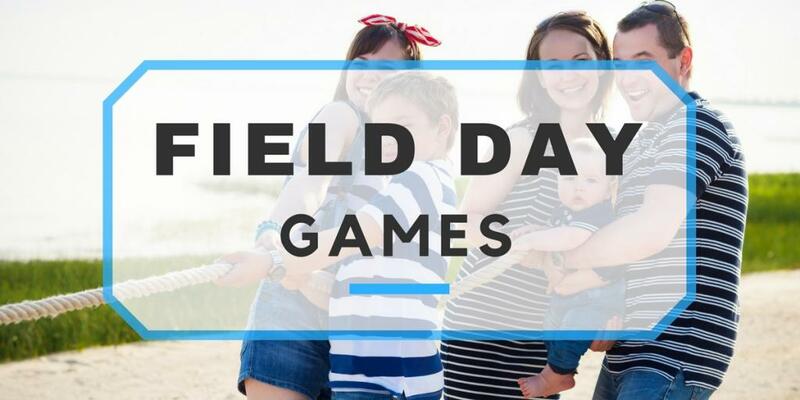 Games are a staple for every family reunion, so make sure to pick some good ones while keeping an even balance all the way around. The planning might be tough, but on the big day, it’s all worth it to see your plans come together perfectly, evidenced by smiles and laughter.